Responsible Pest Control specializes in German Roach Control for restaurants, businesses & homes. 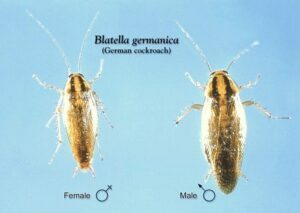 German Roaches are a COMMON invader to restaurants, markets, hospitals, & homes. Because they reproduce SO much FASTER, they require a more FREQUENT and SPECIALIZED treatment. German Roach infestations are usually introduced on infested shipped goods & packaging. Fun Fact: A cockroach can live a week without its head. It only dies because it can’t drink! Uncontrolled German Roach numbers will just EXPLODE! 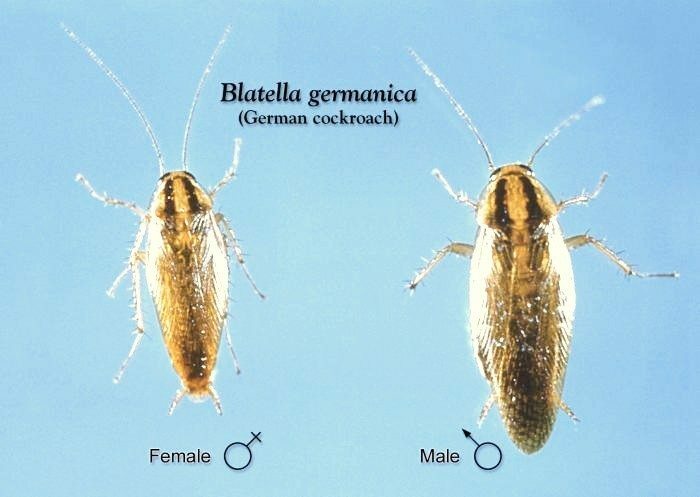 German Roaches need specialized treatment with an “Insect Growth Regulator” to stop their reproductive cycle. Because of their RAPID reproductive rate, pest control treatments should be more frequent. One of the most effective ways to control German Cockroach infestations is using specialized bait that the mature roaches eat & pass on to their young. German Roach Treatments come with two follow-up treatments, and are always GUARANTEED. Responsible Pest Control Mesa AZ – Making HAPPY CUSTOMERS in: Phoenix, Mesa, Scottsdale, Glendale, Chandler, Gilbert, Queen Creek, Maricopa, & surrounding areas.